Agricultural yields could more than triple in a number of African countries, suggesting that tremendous improvements in food security are possible, according to new findings by the Global Yield Gap and Water Productivity Atlas. Developed by a research team at the University of Nebraska-Lincoln in collaboration with Wageningen University in the Netherlands, the atlas estimates the difference between actual and potential yields as well as water productivity for major food crops worldwide. The international team released results last week at a conference in Addis Ababa, Ethiopia, which are available at http://www.yieldgap.org. In the 10 sub-Saharan African countries studied as well as in Bangladesh, the team found that farmers obtain just 20 percent to 30 percent of yields possible if crop management and resources were optimized, even under rainfed conditions. The results were consistent for corn, sorghum, millet, wheat and rice, the major crops in the countries studied: Bangladesh, Burkina Faso, Ethiopia, Ghana, Kenya, Mali, Niger, Nigeria, Tanzania, Uganda and Zambia. In Morocco, Tunisia and Jordan, the team found smaller yield gaps in the major crops of potato, wheat and corn, but yields could still potentially double. They will soon release results for India as well. "Determining yield gap estimates for these countries is crucial because populations in sub-Saharan Africa are expected to increase dramatically in the next 40 years," said UNL agronomist Patricio Grassini, who co-leads the atlas project. "It's really important to help countries better understand how much of their population can be fed with their own production and how much will need to come from food imports." The atlas uses a bottom-up approach, scaling site-specific data to regional and global levels. This consistent method provides accurate, locally relevant yield gap information as well as the ability to assess yield potentials on national and global scales. Researchers and decision-makers can use the information to identify regions with the greatest potential to produce more food sustainably, prioritize efforts and invest resources more effectively, said Grassini, who also is a fellow of the Robert B. Daugherty Water for Food Institute at the University of Nebraska. The tool also estimates water productivity so managers and researchers can better understand the impacts of irrigation expansion, droughts and climate change, for example. For low-income countries, overcoming missing weather, soil and yield data was particularly challenging, Grassini said. "We were able to be very creative and come up with new approaches to adapt our methodology and get robust results without losing precision." Previous results are available for Argentina, Brazil, several European countries and Australia. Soon, yield gap estimates will be finalized for U.S. corn and for major crops in China, Turkey, Uruguay and additional European countries, Grassini said. 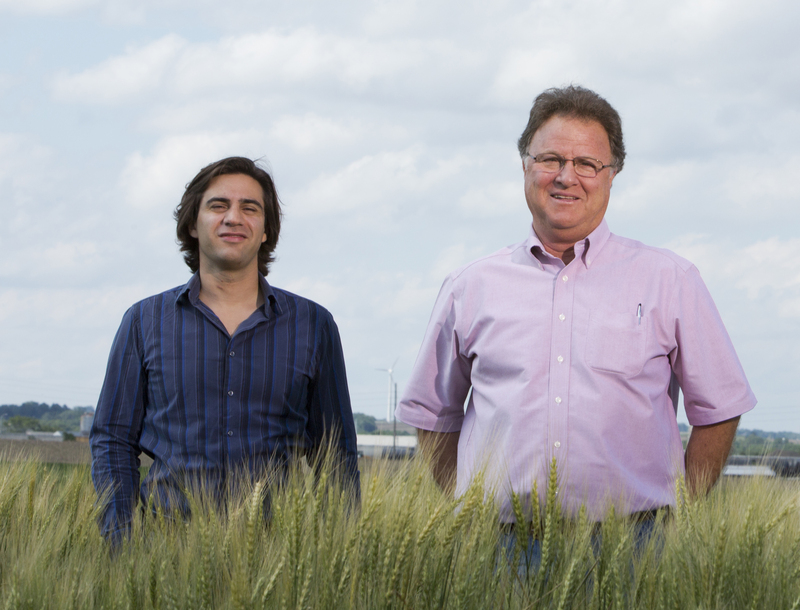 In addition to Grassini, the atlas is led by UNL agronomists Ken Cassman and Haishun Yang and by Martin van Ittersum of Wageningen University. The highly collaborative effort relies heavily on the work of agronomists in each country as well as the International Center for Research in Semi-Arid Tropics. Local agronomists collect data about local conditions and farming methods. Kindie Tesfaye Fantaye, a researcher at the International Maize and Wheat Improvement Center, participated in the atlas project in Ethiopia. He said by demonstrating that the country can potentially feed its own growing population, the atlas provides an important incentive for lawmakers and others to invest in Ethiopian agriculture. "In Ethiopia, there's a huge effort to increase productivity," he said. "This will guide where to focus our efforts." The Daugherty Water for Food Institute at the University of Nebraska, the Bill and Melinda Gates Foundation and the U.S. Agency for International Development funded this work. The atlas and its underlying data are available via an interactive, web-based platform at http://www.yieldgap.org.